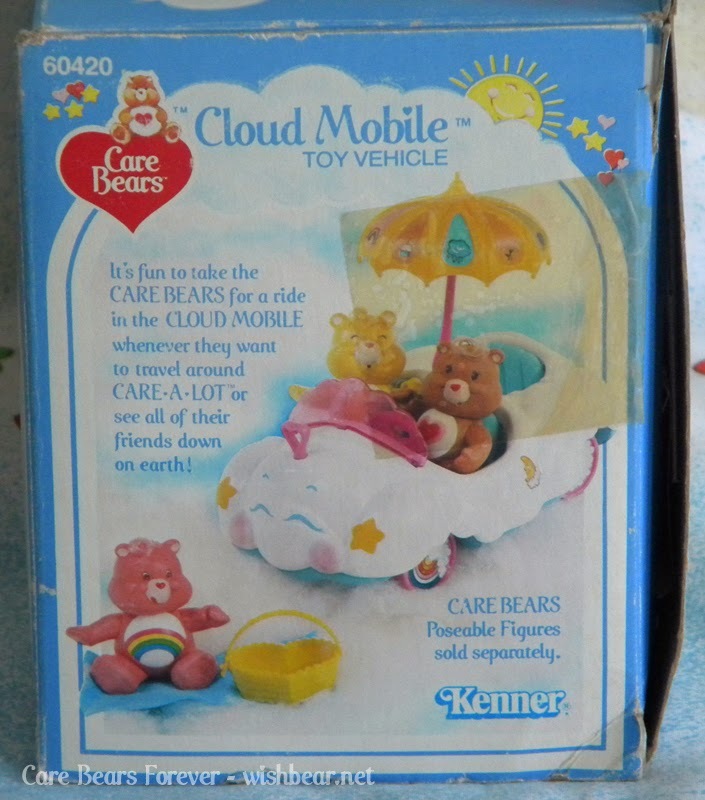 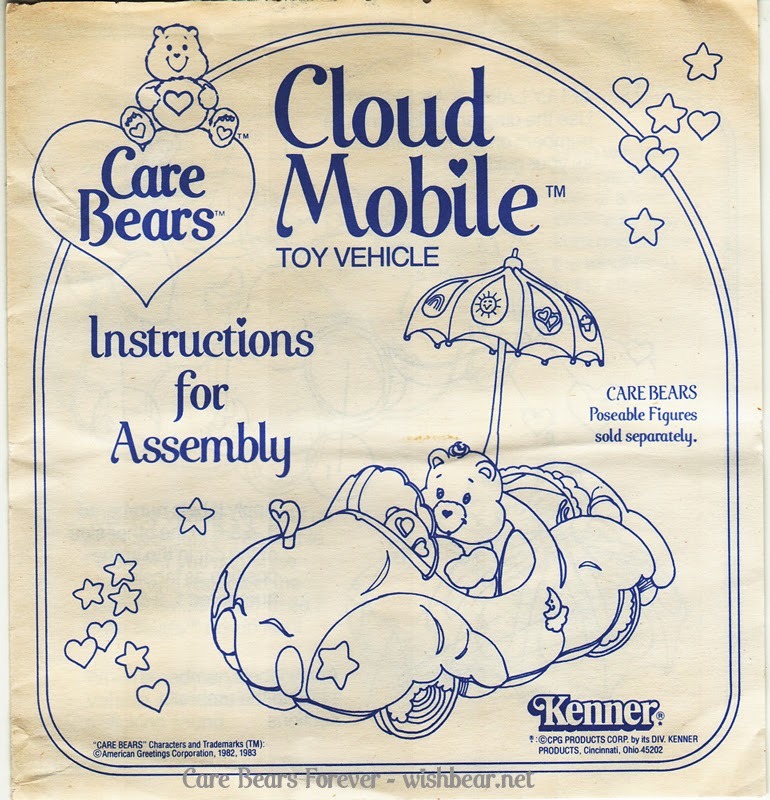 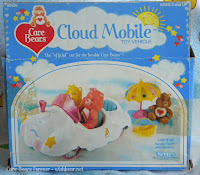 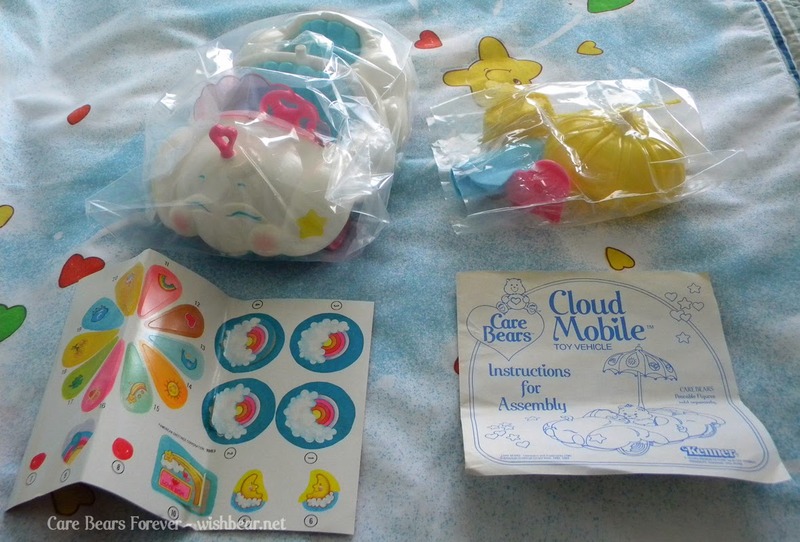 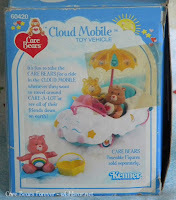 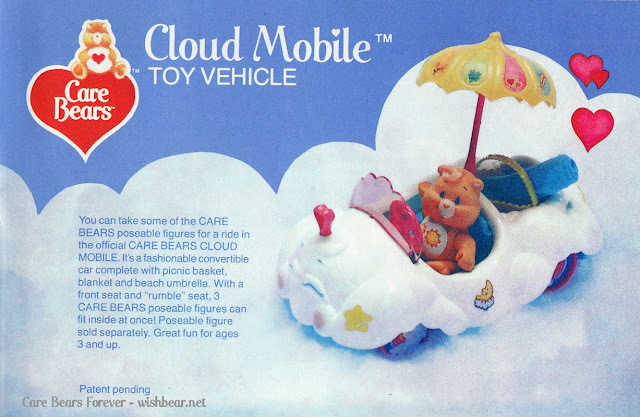 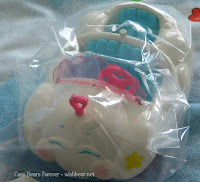 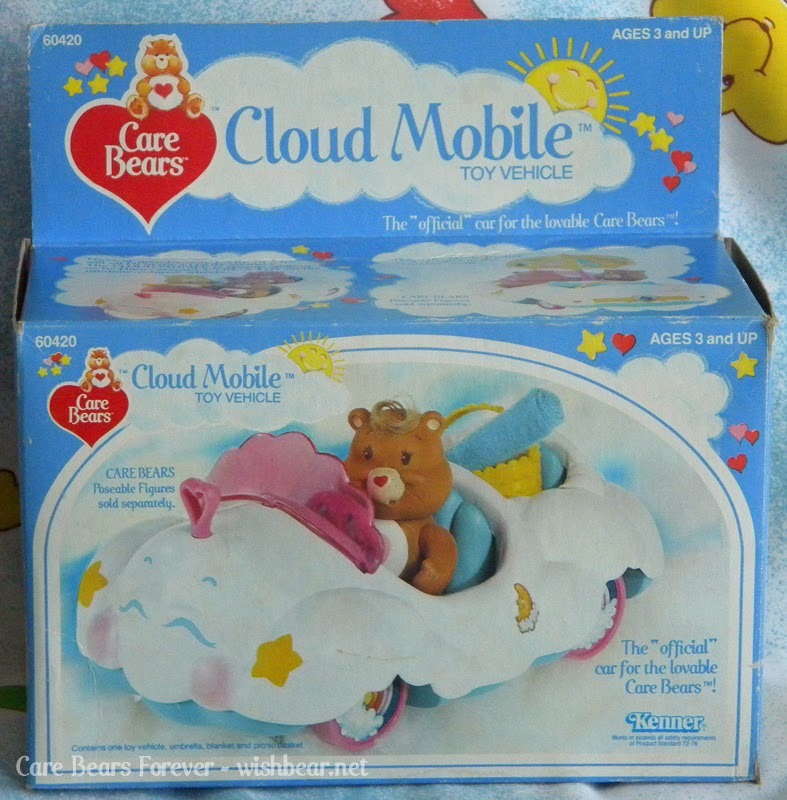 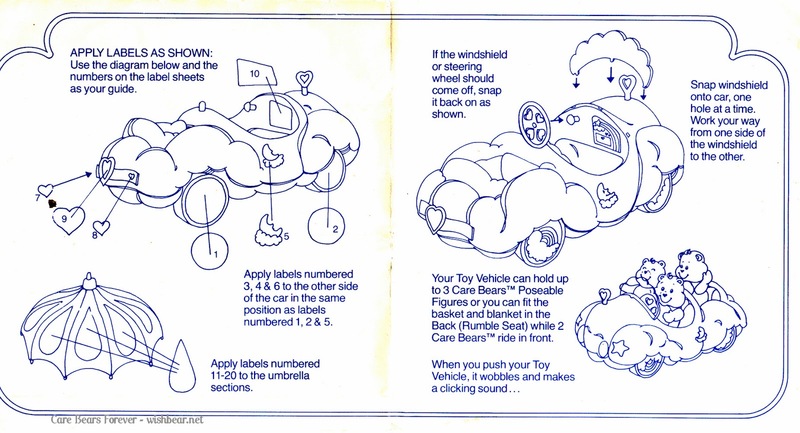 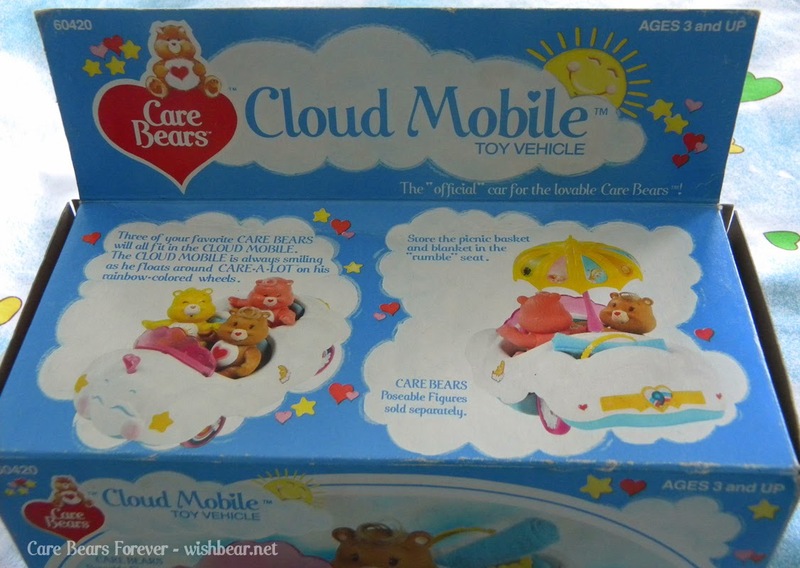 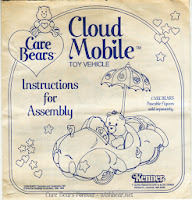 Notes: White plastic car shaped like a cloud for the poseables. It had a pink tinted windshield, and a pink hood ornament. 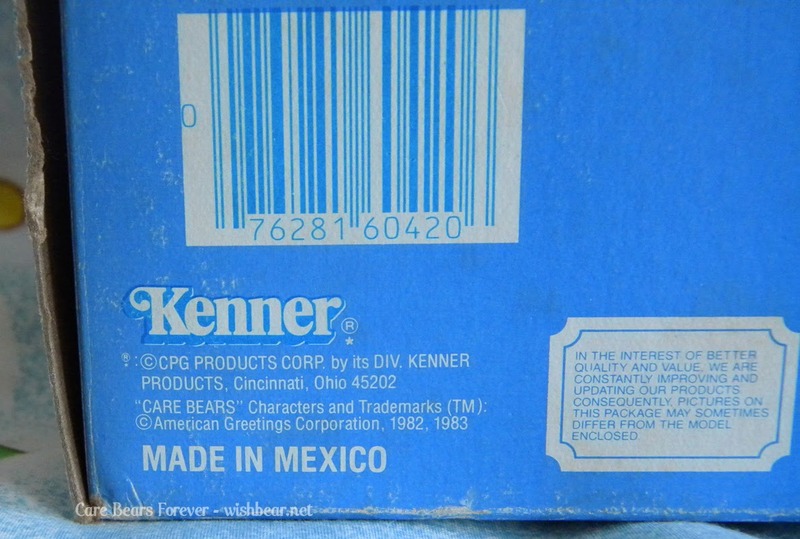 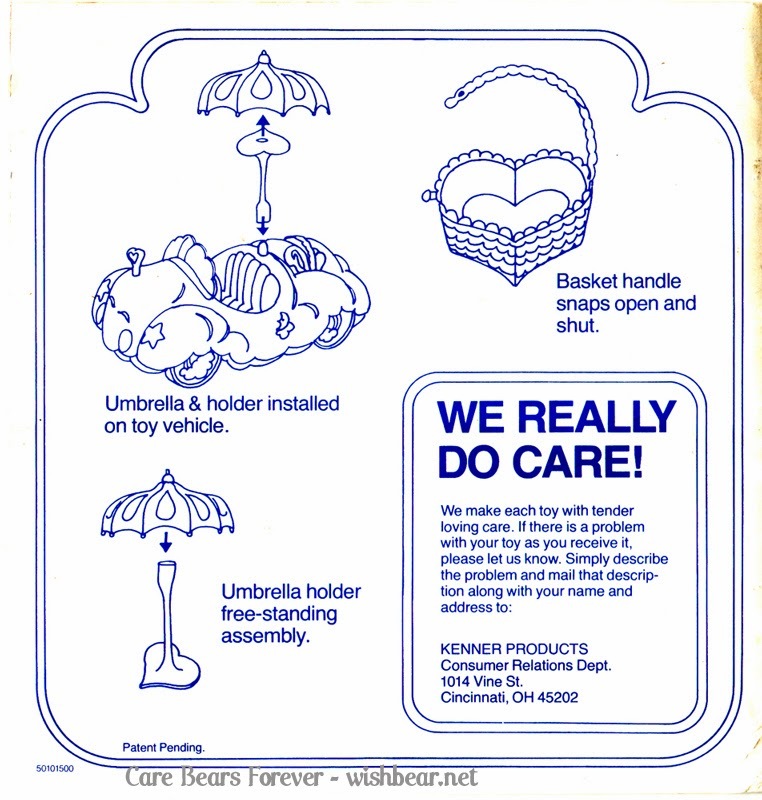 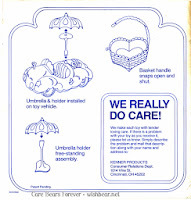 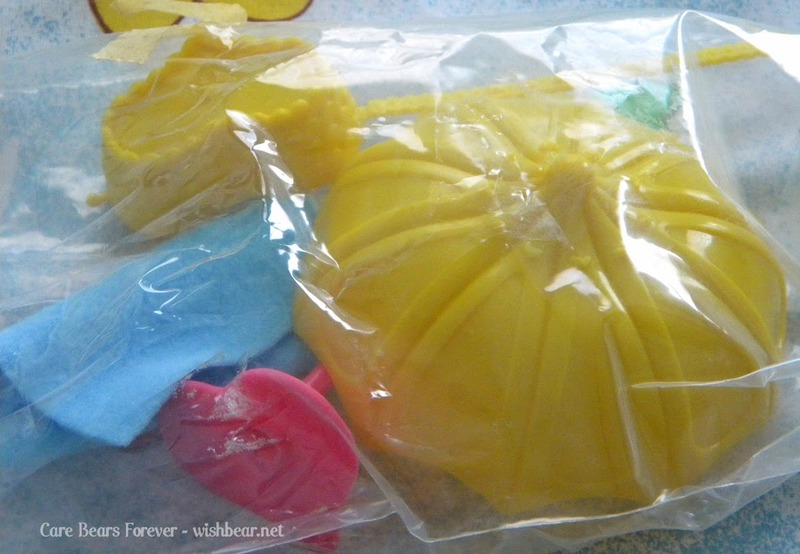 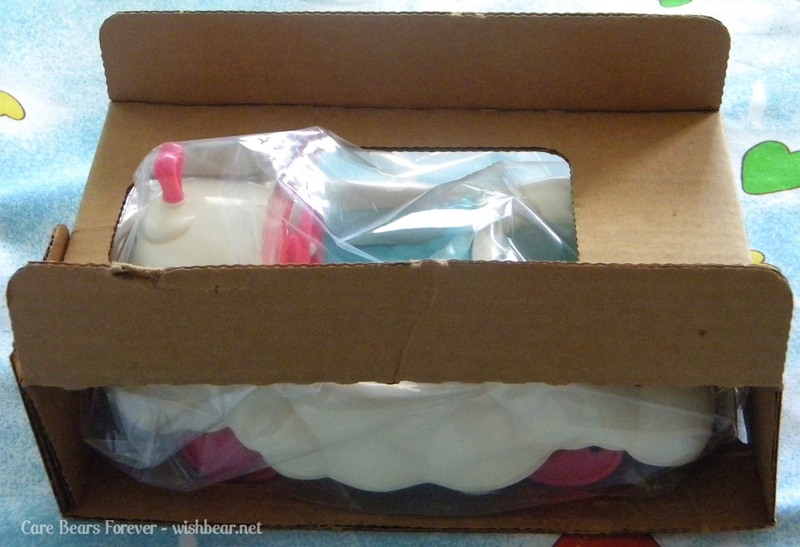 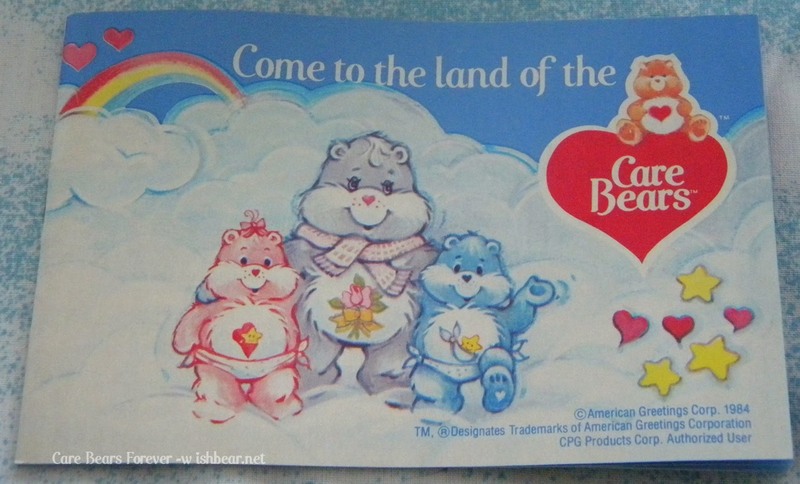 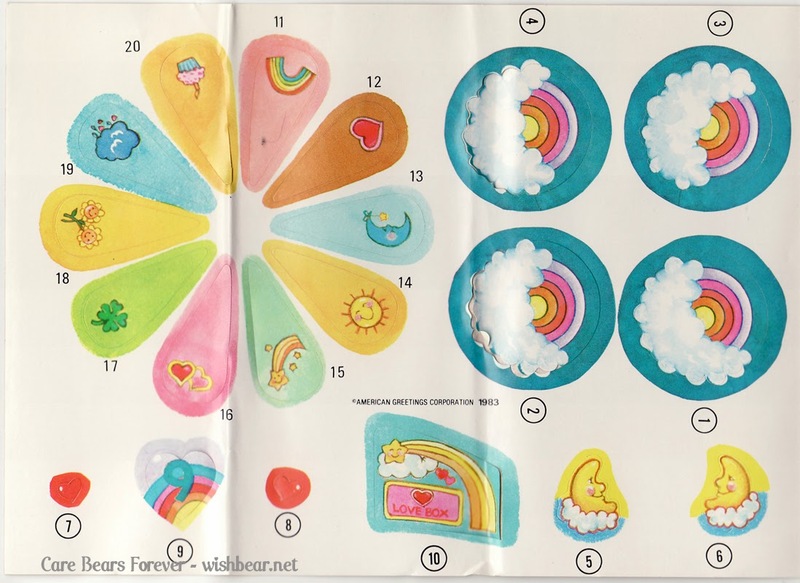 It included an umbrella with stickers of the tummy symbols, yellow blanket, and a yellow heart shaped basket.